That graphic menu looks very good. I have one of the BT versions and you have to scroll through to get to the option you want. Nice find OP. If nuisance call blocking is key then forget these and go for the BT 8600 (or similar). The Gigaset only stores 15 nuisance call numbers so will soon be defeated! At least the BT call guardian intercepts all callers who are not in your phone book, which eliminates 100% of the spam calls but still allows unknown genuine callers through to be vetted. Also many of the BT models have backlit keyboards which can be useful. If you are not bothered by nuisance calls then this is a good price. 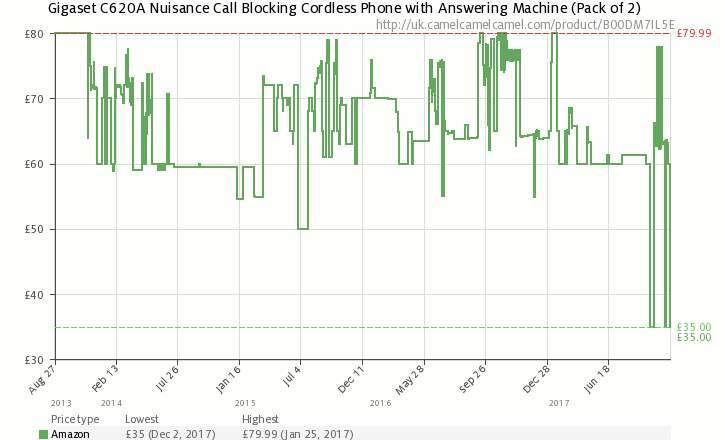 If nuisance call blocking is key then forget these and go for the BT 8600 …If nuisance call blocking is key then forget these and go for the BT 8600 (or similar). The Gigaset only stores 15 nuisance call numbers so will soon be defeated! At least the BT call guardian intercepts all callers who are not in your phone book, which eliminates 100% of the spam calls but still allows unknown genuine callers through to be vetted.Also many of the BT models have backlit keyboards which can be useful.If you are not bothered by nuisance calls then this is a good price. I thought these were great when I paid over £80, at £35 they are fantastic. Nuisance blocking isnt their only feature, and not actually why I bought them. FYI, many of the BT branded sets are MADE by Gigaset. I have the BT 8600. My nuisance calls went from several a day to nil after I got them. If nuisance call blocking is what you need, paying the extra is well worth it. They always say large when it is not. You can get the BT 8610 for £39.99, which has the same handset but a slightly different physical design of the base. 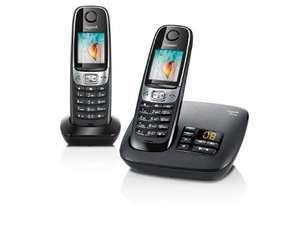 Now the Gigaset are back up to £80 it makes them a bargain. Thanks buddy for your link..I ended up getting the triple for £44.99.